In a medium size saucepan, add the cream, butter, squash and vegetable stock. Bring to a boil. Reduce to a simmer and continue cooking until the squash is tender, about 15 minutes. Puree using an immersion blender (you could also transfer into a regular blender) until creamy and smooth. Season with nutmeg and salt. Meanwhile, bring a large pot of salted water to a boil. Add the pasta and cook until al dente according to the package directions. Reserve 1/2 cup pasta water and drain the pasta. 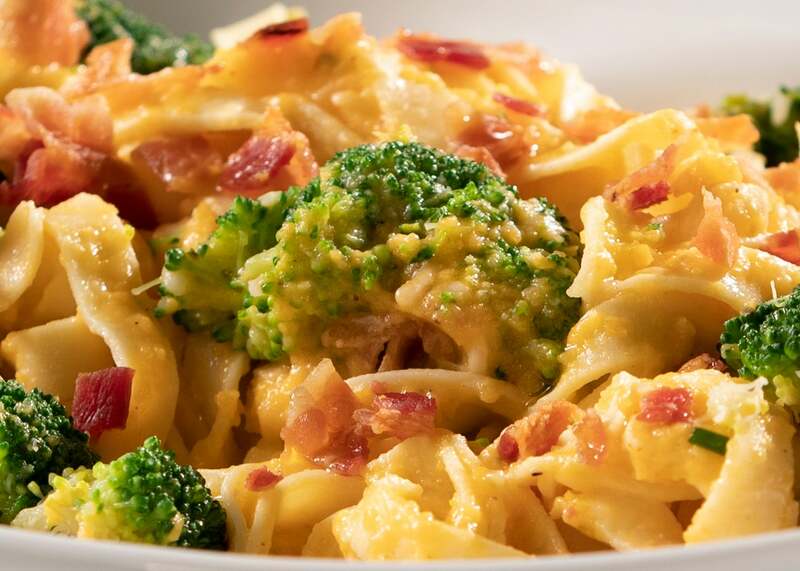 Stir the pasta, cooked broccoli, and Parmesan into the squash sauce and toss until well coated. Add the reserved pasta water 1 tablespoon at a time if needed to loosen the sauce. Top with bacon crumbles.